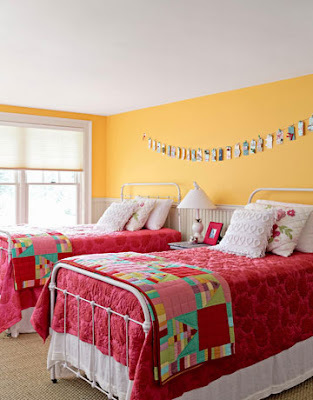 I just love the use of color in this New Hampshire farmhouse, featured in Country Living magazine. It's like it's summertime all year round - despite the snow blankets that cover this New England state for much of the year. 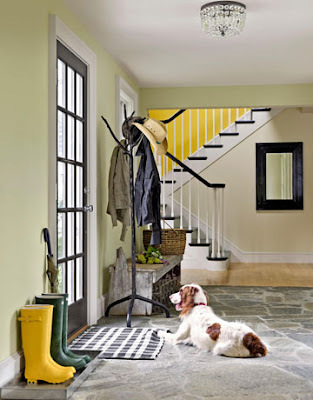 Between the coat rack, the rustic bench, the TWO pairs of wellies, the touch of yellow peeking down the stairs, and that spaniel... there is nothing I do not love in this photo. 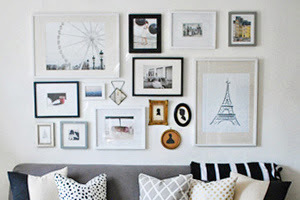 This room epitomizes summer relaxation. 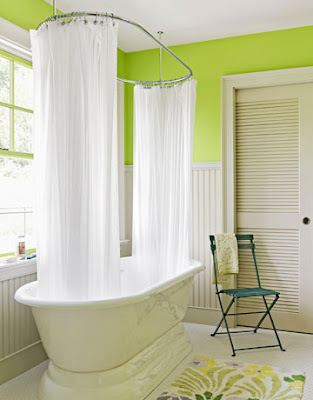 If a shower doesn't wake you up, this wall color definitely will. 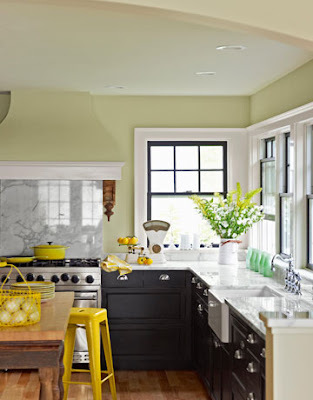 As seen in the kitchen, black, white, and yellow is a dynamite color combo. Fortunately, the neutral-colored walls, marble countertops, and bountiful natural light keep the black cabinets from darkening the space. I'm pretty sure that's a KitchenAid artisan mixer in citron on that countertop. 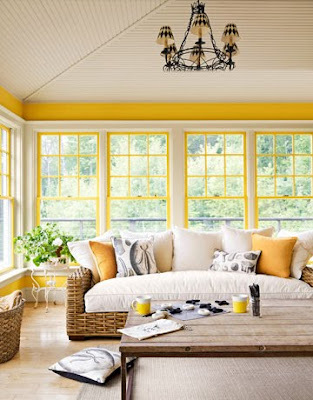 You can never have too many yellow accents. 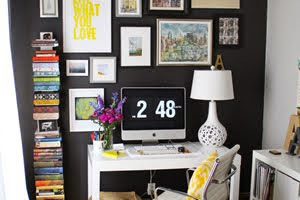 In the master bedroom, I would have chosen a different bed cover: something a little less floral, a little more chic, to better go with the rest of the house. How many kids does this woman have?? Hah. Adorable use of color. Lime green beds. I don't think I've seen that before. I'm not crazy about those chairs, but I like the green bunk beds and of course I love the spaniel!